Juniper Systems Inc.’s EmberEquine is an equine ultrasound reproduction solution developed to optimize workflow. 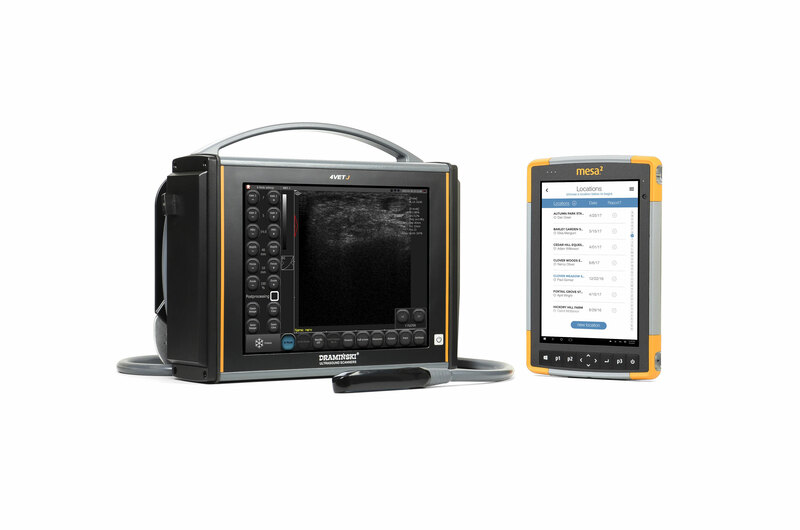 The Mesa 2 Rugged Tablet, running EmberEquine software, pairs with Draminski’s 4VetJ Ultrasound to provide practitioners with everything needed to simplify mare exams and recordkeeping, according to the company. Record measurements directly on the ultrasound; measured ultrasound images are then sent to the Mesa 2 Rugged tablet via Wi-Fi, attached to the mare record form, and safely stored on the Mesa 2 Rugged Tablet and Microsoft Cloud for easy access. The unit offers touchscreen interface, wireless design, and all-day battery life. In addition, the EmberEquine software provides veterinarians with a powerful yet user-friendly interface for quick data entry on the Mesa 2 Rugged Tablet during each reproduction exam, the company states.